Maine Lobster! One of the world’s most iconic foods and that’s not hyperbole. It’s the small creature that truly separates Maine from the rest of the world. Lobster is to Maine as the baguette is to France. Mainers have had centuries of practice preparing this delectable crustacean—from a classic lobster roll to a five-star restaurant’s creative interpretation. 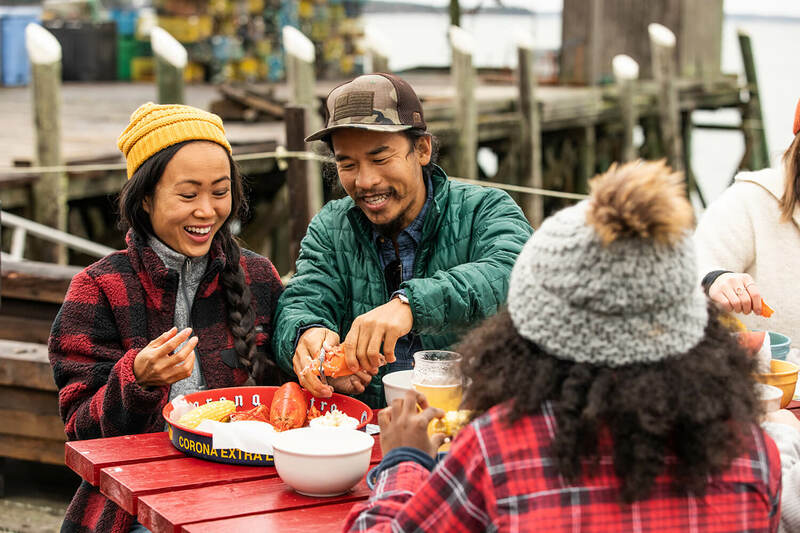 From casual to fancy, eating lobster can be a part of any Maine experience. Schooner captains love to amaze their passengers with a lobster bake on an island beach, and it’s surprisingly easy to simply bring them home and cook them in a pot or on the grill. Even if eating lobster isn’t your Maine Thing, lobstering in Maine can be. Lobstermen offer tours along the coast and share tales and tips on pulling lobster pots right from the Atlantic. Maine celebrates its favorite crustacean with annual festivals like the world-famous Maine Lobster Festival in Rockland where visitors can enjoy the 20,000 pounds of lobster prepared fresh in the world’s biggest lobster cooker, take in cooking demonstrations, listen to music and watch the daily parade. And there’s even lobster ice cream. Mic drop. Want to learn more? Explore lobster themed trip ideas. Are we biased? Of course. But lobsters love the cold, clean waters off our coastline, and the rocky seafloor below offers the perfect habitat and protection from predators. And when you think lobster, you probably think rubber-banded claws—or pincers—which contain some of the sweetest, most tender meat. But did you know some lobster species, like California lobsters, don’t have claws? Which is kind of like a cake without the frosting. 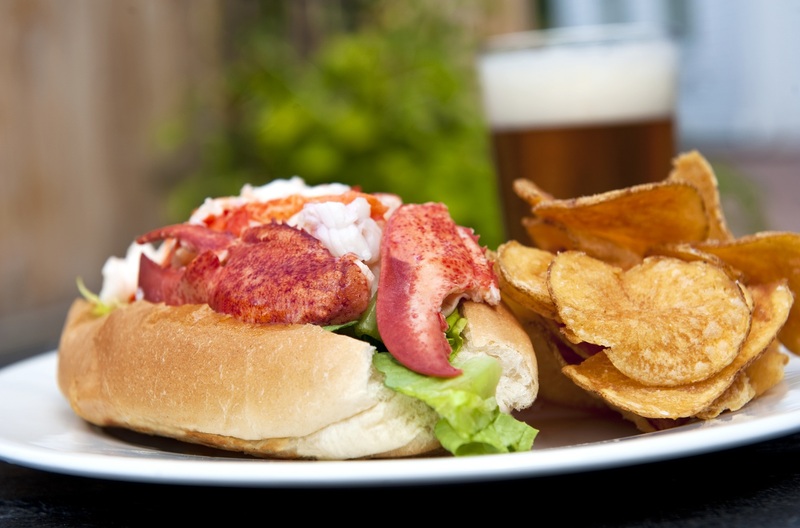 Oh, the lobster roll. Is it delightful? Yes. Does it come with all the joys of freshly picked lobster meat and none of the work? Yes. It’s portable, the ideal prêt à manger Maine dish. Add a Moxie soda and a bag of potato chips and you might just have the best meal of your life. Every seafood-loving Mainer has their personal favorite preparation and lobster restaurant at which to find it. Which means it’s tricky deciding on the best lobster roll. 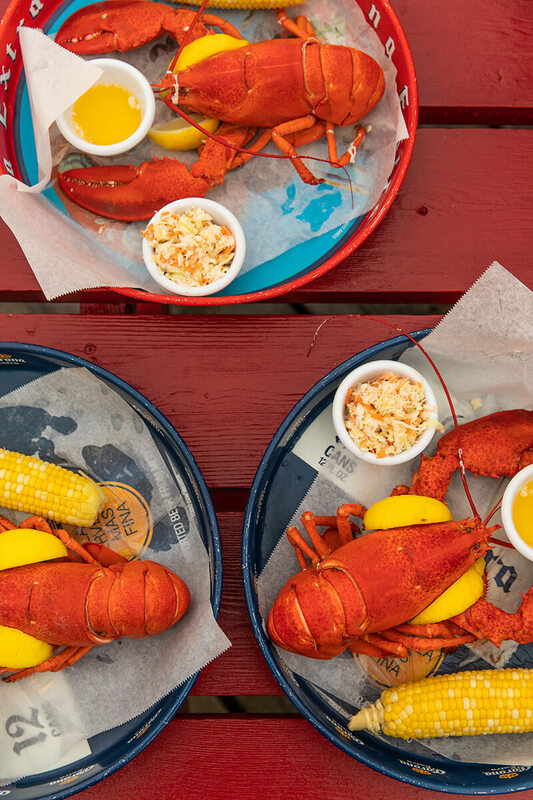 They can be as different as Maine’s landscape—and each beloved lobster shack has their very own recipe. No two are exactly alike. So, get goin’! Summer is the best time for lobster in Maine. In summer, mature lobsters shed their hard shells for a new shell that is significantly larger—and softer. These soft-shell lobsters crack easier, and their flavor becomes even sweeter and more succulent. But don’t worry, you can get fresh lobster year-round. Most lobstermen only set traps from June to October, when the lobsters are nearer to shore and more abundant, but there are plenty of hardy lobstermen who brave icy decks and freezing waters to bring in fresh lobster year-round. Curious about how Mainers scour the seafloor to haul in fresh lobster? Learn more about how Mainers fish for lobster. Lobster boat tours are a unique way to experience lobstering first-hand and learn how lobstermen preserve the vital industry. Did we mention they’re loads of fun? A celebration of the Medomak River and the working waterfront with music and imagery. Join us as we sail in company with the Great Schooner Race, the only event of its kind in Maine. Businesses and locations related to: Find Authentic Maine Lobster. As Fresh as It Gets.